It's apparently every young girl's dream to become a model - wearing the latest clothing trend, looking fabulous walking down the catwalk with photographers on the sidewalk capturing the moment. Girls' Fashion Shoot provides just that, but substituting the catwalk for magazine photo shoots while sitting comfortably at home. As the fashion newbie on the block, you want to make an impact in this demanding industry by coming up with the best styles and wearing the perfect outfit, matched with an appealing article layout to help you on your way to the top of the fashion popularity ladder. Your first task upon booting up the game is to become a Rising Star model, which is a pretty big deal; no pressure. Choose your character's appearance, who can either be your virtual doppelganger or a fashion celebrity lookalike, it's entirely up to you. Your favourite image is also needed, where you're given up to five different styles to choose from. These will affect what items of clothing are placed into your closet to get you started; so choose wisely for your audition - this is the moment you've been waiting for, after all. .
Hooray! You've now been offered a position at Rising Star Magazine, go you! Your fashion adventure starts now. Each month, you're given five jobs and every job has a specific theme for you to match, and you'll receive a pretty little bonus if the outfit meets all expectations. Instead of searching through the packed closet full of clothes, there's a handy keyword search feature to narrow down your results so you can find exactly what you need; there's a large variety of clothes in which you can dress your character - inner tops, outer tops, maxi dresses, skirts, socks, sandals, etc. It's also worth noting that there's a section where you can look up the meaning of some of the clothing terms used in the game. The criteria of the task will sit in the top right corner of the screen, so with that in mind, all you have to do is find the right outfit. However, this can feel quite repetitive at times as the same clothes keep popping up time after time. It's also a shame that customising the clothes themselves isn't an option, such as adding a small design or something simple like changing the colour. Once your outfit is chosen, Linda will either tell you that your work is 'amazing' and you'll progress, or that you're not trying hard enough so you'll have to start from scratch. Our Linda is a fussy one. Upon piecing an outfit together, it's now time to put your magazine article together. This is where a lot of the creativeness comes into play as you don't have to stick to a theme or particular requirement. There there are quite a number of designs to choose from when making your article in Rising Star Magazine look good for the readers. You're given a basic article layout featuring your character, which you can choose to keep, or make a few changes of your own such as the colour of the backdrop, adding small decorations and moving the model around the page. There's a small missed opportunity here - taking your own picture using the 3DS camera and importing the image to copy onto the article would have been a nice touch. Even if it wouldn't be a part of the main game, it would still bring a smile to any girl's face to see themselves on a magazine cover. Small jobs will appear on occasion and you'll automatically receive a set amount of payment, but choosing these will cancel all your jobs that month and will also affect potential auditions and meeting certain characters, so it's not really advised if you want to grab as many opportunities as you can. Climbing the popularity ladder will land you with more money to spend in the Fashion Shop on new items of clothing for your own personal closet, which actually comes in handy for auditions. There are plenty of clothes and accessories to choose from here, so get down to business and buy the perfect outfit for your character. 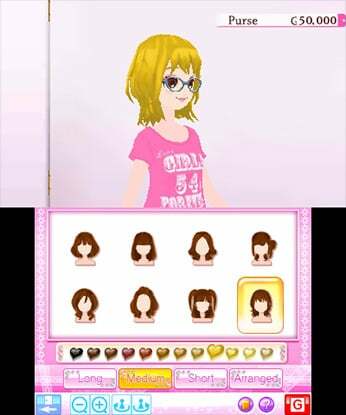 Visit the hair salon to change colour and hairstyles, making them available in your dresser in your room to change as many times as you want. Take a trip to the nail salon to customise your nail colour and nail art designs. Buy the latest cosmetics in the make-up shop, where you can apply false lashes, lipstick and blusher in the knowledge that there's no mess to clean up afterwards. Spending the time and money in each of the aforementioned shops is all a part of your character's climb to the top each month; it can take some time for your character to rise to the top, so there's plenty of work to be done. Eddie will welcome you into the photo studio where he'll work his magic on shooting fantastic photos for you to update your profile. This will also be helpful in applying for auditions that may arise, as you'll need to wear specific clothes in accordance to the potential job's requirements. You can visit the Lesson Studio to learn some new poses for future shoots to use in upcoming auditions or monthly jobs, but we found ourselves sticking to the same couple of poses each time, so we weren't particularly bothered using money towards a new one. You'll make friends with fellow models along your journey, in which they'll occasionally get in touch to meet up for coffee, go on a shopping spree or work out in the gym. It's unfortunate that these social meet-ups don't include small mini-games — they're simply text based events and feel rather boring. 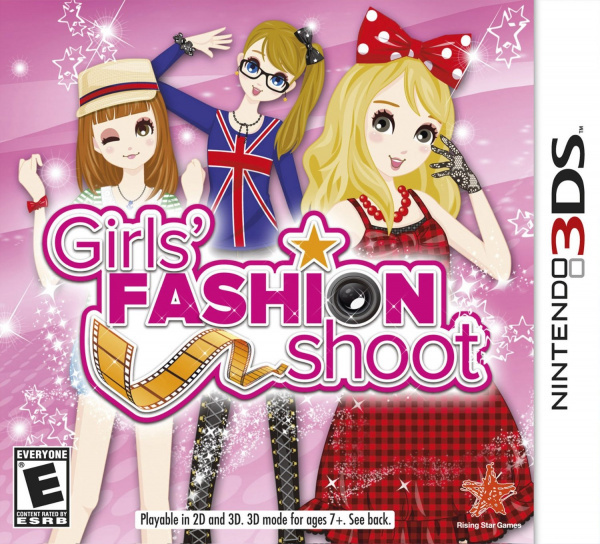 Girls' Fashion Shoot is an easy game to follow, there's something there for young girls to get creative and try out new styles, giving them a small taste of the fashion world at an early age. Its simplistic fun and outfit designs will be enough to keep them occupied for quite some time — despite some missed opportunities in the design — until they're ready to hit the shops and try out the latest trends in real life. Interesting. My little sister will LOVE it. I'll be getting it for her birthday. 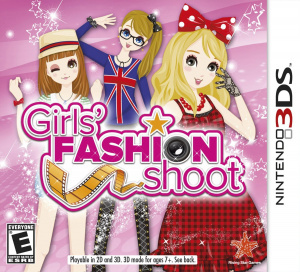 I own style boutique ( style savvy ) so wondered about this game. Is by rising star after all they make great games. Hmmm...! This game seems to have a surprising amount of depth... might have to get it for my little sister when she gets her 3DS! Ha, I love that the magazine's called Rising Star Magazine! Thanks for the review @dudey300! 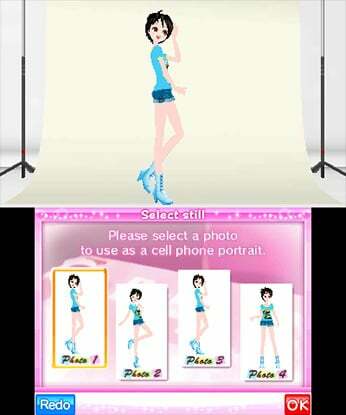 Also for anybody contemplating both, Style Savvy is amazing. My most played 3DS game after ACNL & Fire Emblem! This looks cute. I really like Style Savvy too, so I'll probably give this a try sometime. And I always appreciate a quality game aimed at girls. 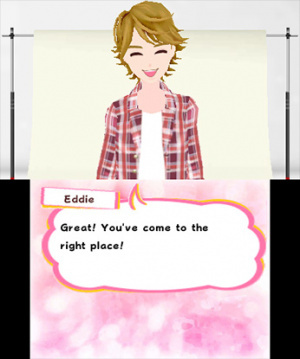 Style Savvy was an enormous (and surprising) guilty pleasure for me, but I'm not too sure about this one. We'll see. Glad to see some quality games out their for anyone who wants to focus on their feminine side. I love fashion, but can you be a male in this game, and if so is their male clothing lines. I personally have quiet the suit collection, and would enjoy a sim focused on males. Edit: Nevermind the names says "Girls" specifically. Oh well. Style Savvy is one of the best 3DS games, this looks good too.